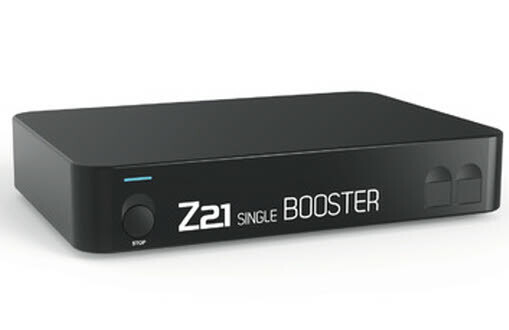 Roco Nya Singel Booster Z21, 3 Amper, Can-Bus, B-bus, CDE-Bus, inkl vändslinga-modull. RailCom is a registered trademark of Lenz Elektronik GmbH, Gießen. Powered by ShopFactory to sell P4922 online. All-in one eCommerce and online shopping cart software.